The author has compiled an ultimate edition for advanced Ruby learners, who may use it as a guide to their emergence as top level object-oriented language programmers. The text aims at easing the Ruby-execution-process for programmers who may initially be perplexed over so many unmanaged Ruby frameworks flooding the internet. Metz’s work serves as an ultimate guide to mastering original object-oriented mechanisms and designs, implementing pleasing and manageable codes with vivid illustrations and instructions quoted from a practical approach to Ruby programming. The author has specifically dedicated this book to those willing to accomplish Ruby basics before switching to Ruby on Rails or other complicated Ruby language frameworks. The text is interpreted in a direct-to-the-point manner that makes it ideal for beginners, who wish to eradicate non-essential paragraphs to complement their eagerness on practical execution of the language, instead of needing to hook to a book for hours. Wagstaff’s book serves as a kick-start guide for beginners to get a grip of Ruby language. This book is devoid of unnecessary verbose explanations and skips to practical points from the very start. The text, accompanied by vivid illustrations is a concise guide to learn Ruby coding easily, without having to go through detailed pages of theoretical descriptions. It covers elementary as well as advanced programming tactics, including meta-programming. The book can be effectively used as a reference guide to reach accuracy and speed in Ruby programming and coding,for both basic and advanced level. As the title suggest, Avdi Grimm has successfully compiled a book that would instigate joy and interest in a Ruby programmer. The book is practically instructive and teaches readers how to master Ruby programming and provide a concrete shape to their budding ideas on development without committing repetitive errors. The text covers real-time refactoring lessons, which aids a reader in acknowledging the flamboyance of Ruby. Ruby is an expressive and responsive language capable of engaging programmers in a smooth and uninterrupted coding process, avoiding errors to the greatest extent possible. The author has dedicated his book to Ruby programmers of all levels. It is important to understand the deepest and core syntax of a programming language in order to use it for easy coding and advanced application development. 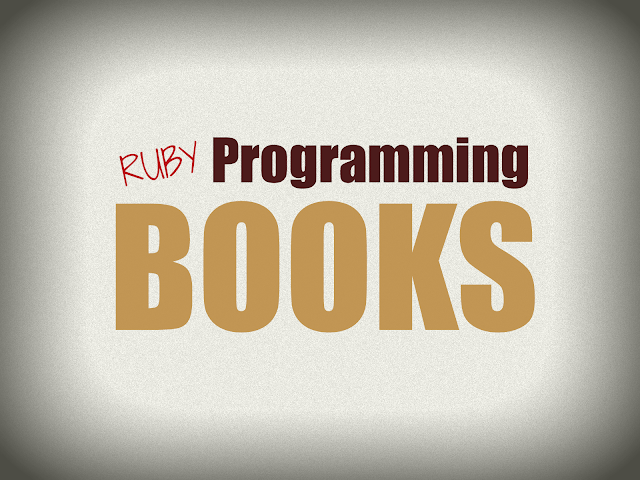 The book covers extended information on alternative Ruby implements like Rubinius and JRuby. As a reader proceeds with this book, he/she may be surprised to find the most interesting facts about Ruby that were previously unknown and the way these can utilized in making a super-easy approach to Ruby programming. These bestselling books by expert authors are fully integrated to extend the comfort zone of a programmer with Ruby so that programmers can make the most of Ruby’s elegance to materialize their core development and programming aspirations.